Need/want AEG Parts? Want 10% off? Click me! Ok, so a lot of the current forum regulars might not be that familiar with me, but I am a mod that was crazy active maybe 2/3 years ago. 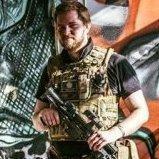 I run a YouTube channel in my spare time, linked in my signature, and recently I've partnered up with an airsoft parts shop - MajorAirsoft.co.uk. So check their stock out, and if there's anything you like, you can use discount code Bullet4MyEnemy for 10% off. All I ask, is that when visiting their site you use this link, to help me prove how much good I'm doing for them - maybe it'll lead to better discounts in the future, who knows? Oh and why not sub to the channel? It'd be the best way to hear about new deals and such. Plus, airsoft gameplay footage and the occasional tech video, review etc. It's good to see you back around ed. The reason I joined up here is because I watched one of your videos and saw the link to the forums in the description. Will check out this website out. I went inactive roughly the same time as you after having spinal surgery, glad to see you're back too & look forward to new content mate!